A step-by-step phonemic awareness and visual-auditory-motor program to help all children achieve literacy success. Crack The Code is a reading and spelling program that can be used to teach any child, especially phonologically dyslexic children, how to read and spell. WHY DOES CRACK THE CODE CONCENTRATE SO HEAVILY ON MASTERING VOWEL SOUNDS? WHICH STUDENTS IS CRACK THE CODE FOR? DOES A STUDENT HAVE TO KNOW ALL THEIR LETTER-SOUND CORRESPONDENCES BEFORE STARTING CRACK THE CODE? CAN PARENTS USE CRACK THE CODE? CAN CRACK THE CODE BE USED IN SCHOOLS OR ADAPTED FOR CLASSROOMS AS PART OF THEIR READING AND WRITING CURRICULUM? DO I REALLY HAVE TO START AT THE BEGINNING OF THE CRACK THE CODE PROGRAM? DO I HAVE TO COMPLETE THE WHOLE PROGRAM? IS IT BETTER TO START USING THE CRACK THE CODE PROGRAM WITH ALL CHILDREN AS SOON AS THEY ENTER SCHOOL OR DO YOU ONLY WITH CHILDREN STRUGGLING WITH READING AND SPELLING? FOR STUDENTS WHO ARE BEHIND AND STRUGGLING WITH READING AND WRITING AND WHO NEED MORE FOCUSED INTERVENTION, CAN THE PROGRAM BE USED WITH GROUPS OF CHILDREN OR IS ONE-ON-ONE BETTER? English is an unusual (some would say frustrating) language in that there are only five or six vowel letters in our alphabet but twenty (that’s right twenty!) vowel sounds that we use to communicate. It is therefore not surprising that students learning to read and write English will have most difficulty mastering vowels – especially those students struggling to acquire effective literacy skills. 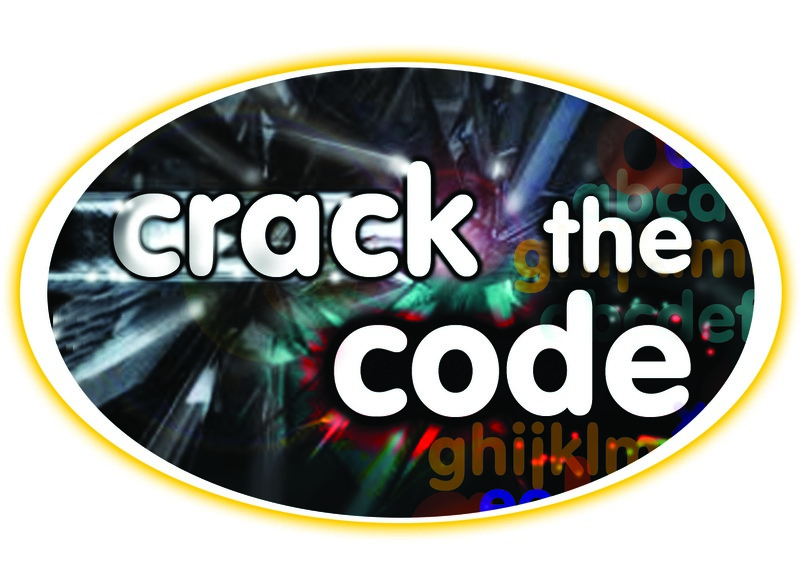 Crack The Code can be used to teach any child of any age (starting at 5 – 6 years of age) to read and write but is especially effective for students who struggle to learn and apply phonic skills to reading and writing (about 25 – 40 per cent of all children). The younger the child when you start, the better the literacy outcomes are likely to be. No! I have found that the key skill young struggling students lack is not so much poor letter-sound knowledge but poor segmenting ability. Until a child can segment an oral word into its component sounds the teaching of letter-sounds is meaningless to that child anyway (as that child is totally unaware that words are composed of sounds). Therefore a better approach is to teach letter-sounds in conjunction with segmenting ability (both of which are achieved through Crack the Code). Parents can use Crack The Code if they are able to follow the instructions and do the lessons with their child. Be warned that sometimes a parent will have the same “phonic” difficulties as their child (many literacy difficulties have been inherited from one or both parents) and so may have difficulty doing the lessons at home with their child. Prep: Lesson 10 by the end of the year. Year 1: Lesson 20 by the end of the year. Year 2: Lesson 30 by the end of the year. Year 3: Lesson 40 by the end of the year. Year 4: Lesson 47 by the end of the year. Year 5: Lesson 51 by the end of the year. Year 6: Lesson 55 by the end of the year. I must stress that this is a rough guide only and that as with any program you must always take individual student differences into account and ideally teach each student from where he/she is up to in the Crack The Code program. Irrespective of age or year level, all students must start at the beginning of Crack The Code for it to be effective. Yes! An absolutely essential part of the Crack The Code Program are the Short and Long Vowels (which our whole English system kind of revolves around). I have worked with many High School students who still haven’t mastered short and long vowels! As such, no matter how old the student or what year/grade level at school he/she is in, you must always start at the beginning of the Crack The Code program. Having said that, you will find that older students will tend to fly through a lot of the initial lessons of the program anyway so you won’t lose much time. No! As an example, for younger students (Year 1/Year 2) you may only have to do the first 20 to 30 lessons before the student is up with his/her peers in terms of literacy skills. For older students (Year 3/4), you may have to do all of the vowel lessons and for older students you may have to do the whole program. That is why the younger you can identify and/or start a student on the Crack The Code program, the better the literacy outcomes will be for that child. Prevention is always better than cure. The program can be adapted to use with a whole class and indeed throughout the whole school. In one school I work at, the techniques and skills in the pages of this program are introduced in each Prep classroom (5-6 year olds) and continued throughout primary school until Year 7. Any students still having difficulty learning and applying the techniques of the program are withdrawn and given focused one-on-one intervention but still using the same skills and techniques of the program (Prep children are given one-on-one intervention too!) Parents of struggling children are also trained to use, teach and practise the skills and techniques of the program at home with their children – especially during the first two years of school. It is a model that works extremely well and the literacy results of all students throughout this particular primary school are very impressive and speak for themselves. Even though in my experience schools tend to see children in groups for learning and literacy support at school (due to high numbers of students requiring support, time, money etc. etc. ), for students struggling with literacy one-on-one is always going to produce more consistent, intensive and differentiated/focused intervention and therefore better results. The time spent with individual students does not have to be long (10-15 minutes with younger students). However, some students will need to spend more time on certain lessons than others. The intervention provided in this program will be most useful and beneficial for a student when it is differentiated/focused and focused intervention is best provided one-on-one. Having said that, many schools have successfully implemented Crack the Code in their classrooms by working with small groups of struggling students. See the breakdown of Crack the Code to understand the lesson structure used. Get in touch with us via email, telephone or post to discuss your questions and needs.